Today is the launch of The Architecture Post Conversation. For this first edition, we visit Paris-based La Galerie d'Architecture to discuss with director and curator Gian Mauro Maurizio. The discussion focuses on architecture and exhibition. 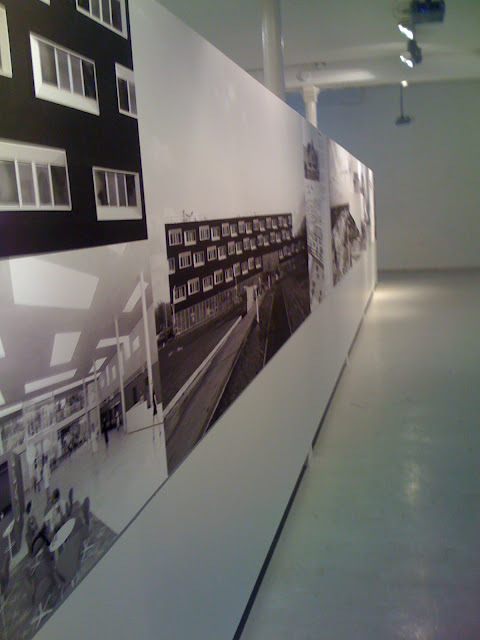 We will also review Jean-Philippe Pargade Architects exhibition, closed since February 25th. Based in le Marais area, Central Paris, La Galerie d'Architecture is a gallery committed to the advancement of innovative position in architecture and design. La Galerie d'Architecture has been founded in 1999 by two architects, Gian Mauro Maurizio, still director, and Olga Pugliese, who has quit La Galerie in 2005. Over a large list of nationally and internationally recognized and emerging architects and designers have shown at La Galerie d'Architecture; these include Jean-Philippe Pargade Architects, Périphériques Architects, Nicolas Michelin Architects, Anne Demians Architects, Jensen Skodvin Architects, Helen & Hard Architects, Jean de Gaustines Architects, OMA, Bernard Tschumi and Manuelle Gautrand, among many others. A single subject: the curator, two subtopics: architecture and exhibition, and Jean-Philippe Pargade Architects exhibition, closed on February 25th. Next Exhibition will be that of Periphériques Architects started on March 15th. Tomorrow will be the second edition of The Architecture Post Review featuring Julia van den Hout and Kyle May of Clog Magazine. * The conversation was initially in French. It then has been translated and dubbed into English. This week's map: What's Your Coastal Flood Risk?